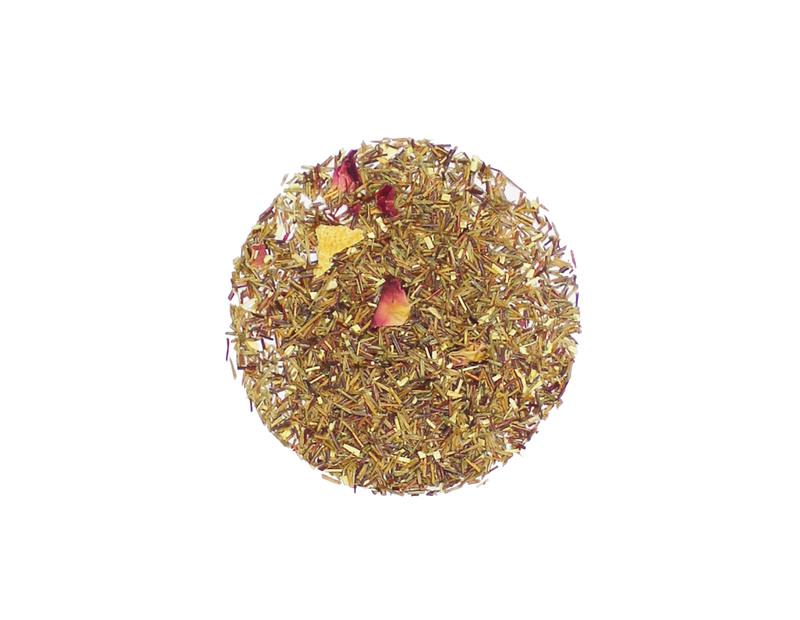 Mango, papaya, orange, and rose petals make this a bit of a wild tea to brew. It will bring a small beach party to your tea time. You can enjoy Key West Herbal either hot or cold depending on how and when you plan to serve it. If you want to make something fun, add your used leafs to a bottle of soda water and let it steep overnight. In the morning you’ll find a lightly flavored bottle of fizzy water that is a great soda substitute.